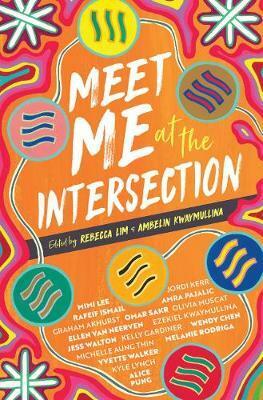 Masterminded by authors Rebecca Lim and Ambelin Kwaymullina, Meet Me at the Intersection is a highly successful and much-needed anthology of Australian Own Voices writing – stories about marginalised peoples told by people from those marginalised groups. The collection features a mix of emerging and established writers and, as its title suggests, resists ‘single stories’ – allowing complexity and intersectionality to flourish. With stories by First Nations writers up front, the anthology flows on to the work of writers living with a disability, LGBTQIA+ writers and writers of colour. Meet Me at the Intersection contains fiction, memoir and poetry, and the range of voices, styles and experiences makes for lively, thoughtful and entertaining reading. Ellen van Neerven conjures up everyday tensions and family love, with a slice-of-life story about a soccer-playing teen. Mimi Lee writes poignantly of family dysfunction and loss, living between two countries and finding help through a psychologist. Jessica Walton spins a joyous encounter at a sci-fi convention that doesn’t downplay the challenges of being young, queer and disabled, but also provides moments of connection and levity. There’s historical fiction from Kelly Gardiner and Wendy Chen, poems from Graham Akhurst, a dialogue-driven exploration of job-hunting by Kyle Lynch, Olivia Muscat’s ode to Harry Potter, and sweet, strange and smart speculative fiction from Jordi Kerr. Other equally engaging contributions come from Ezekiel Kwaymullina, Yvette Walker, Melanie Rodriga, Rafeif Ismail, Omar Sakr, Amra Pajalic, Alice Pung, Michelle Aung Thin, Rebecca Lim and Ambelin Kwaymullina (cover art). Springing from the passion and insistence of its editors and contributors, Meet Me at the Intersection is the kind of inspired publishing I wish there was more of in Australia.